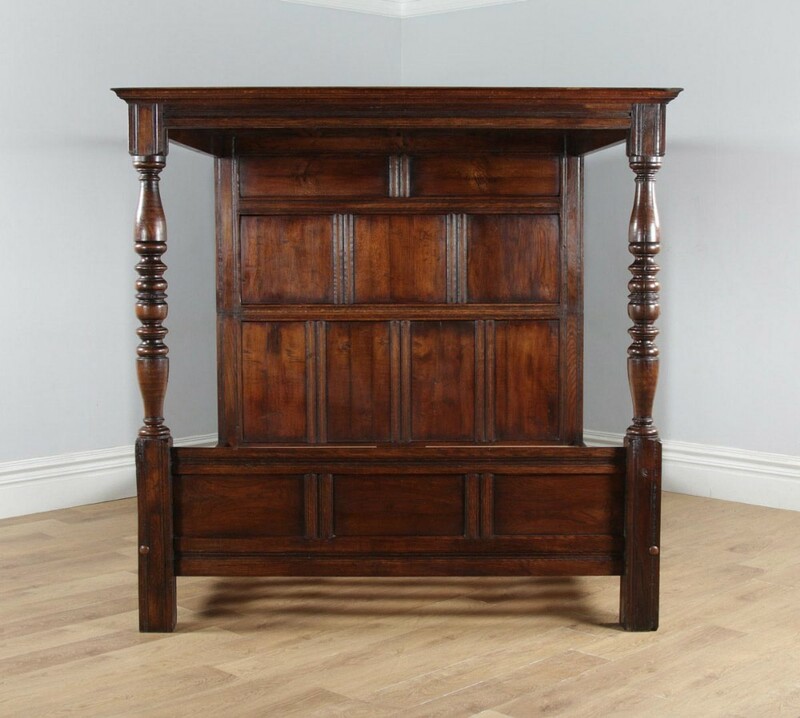 Here is a superb quality antique English Charles II style solid oak super king size (6ft wide) four poster bed, circa 1920, incorporating earlier period timbers, showing exceptional workmanship and colour, in excellent condition. 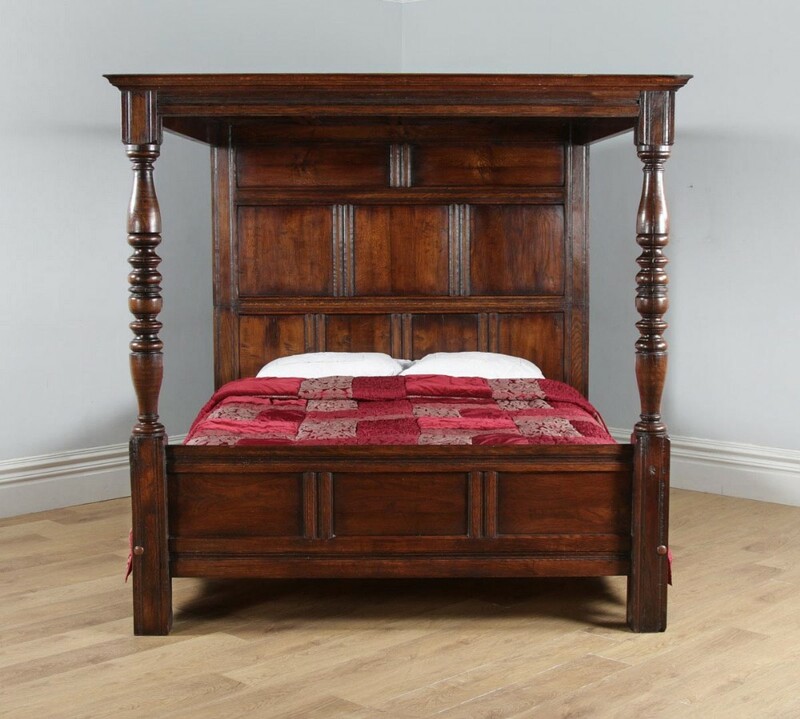 The bed has been constructed in the style of a bed from the mid to late 17th century (Charles II period). 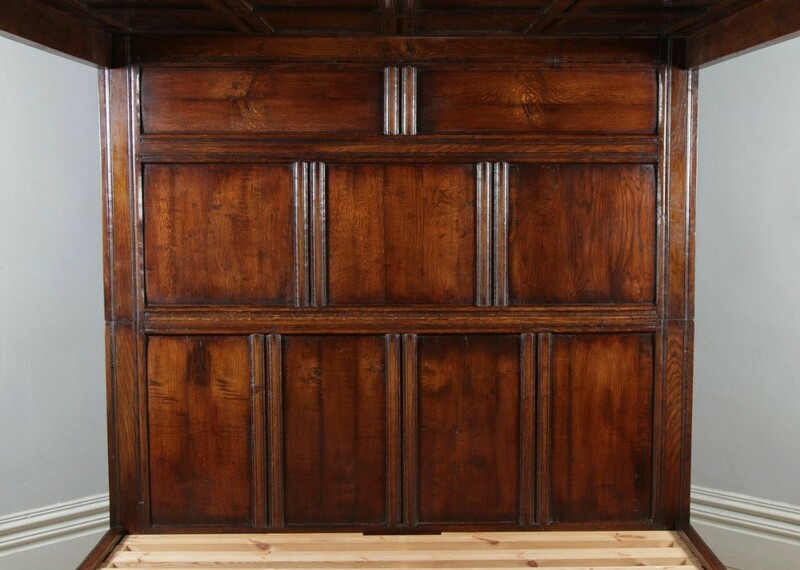 The headboard is constructed of nine inset panels within a reeded frame. 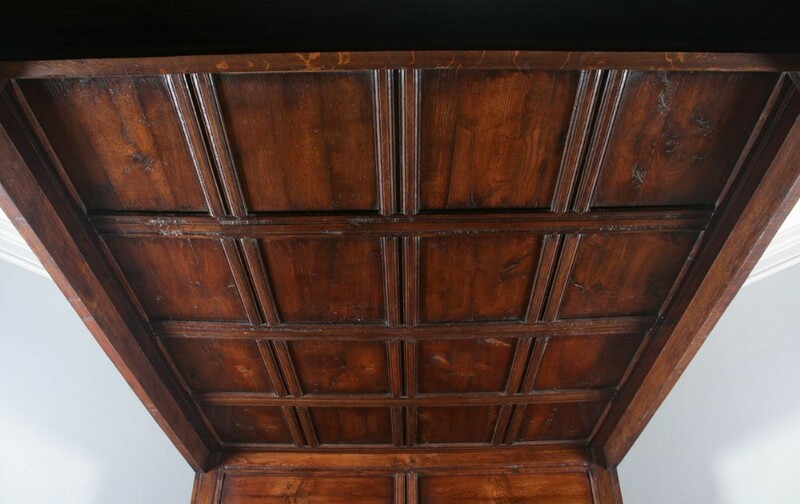 This panel design is replicated in the design of the recessed panel roof and panel footboard. 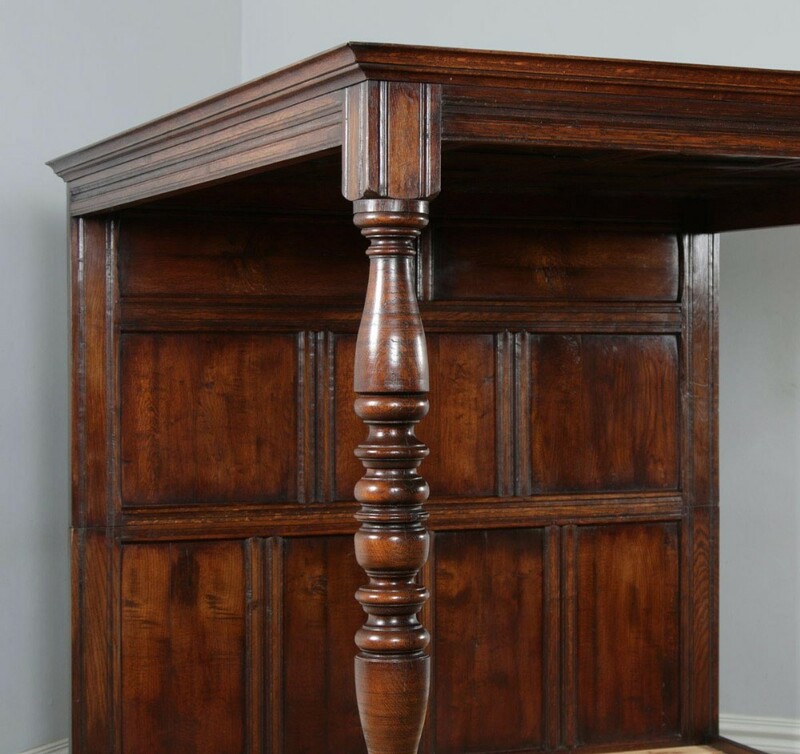 An elegant reeded-protruding canopy surrounds the panel roof, supported by two bulbous turned front posts that stand on the block leg footboard. 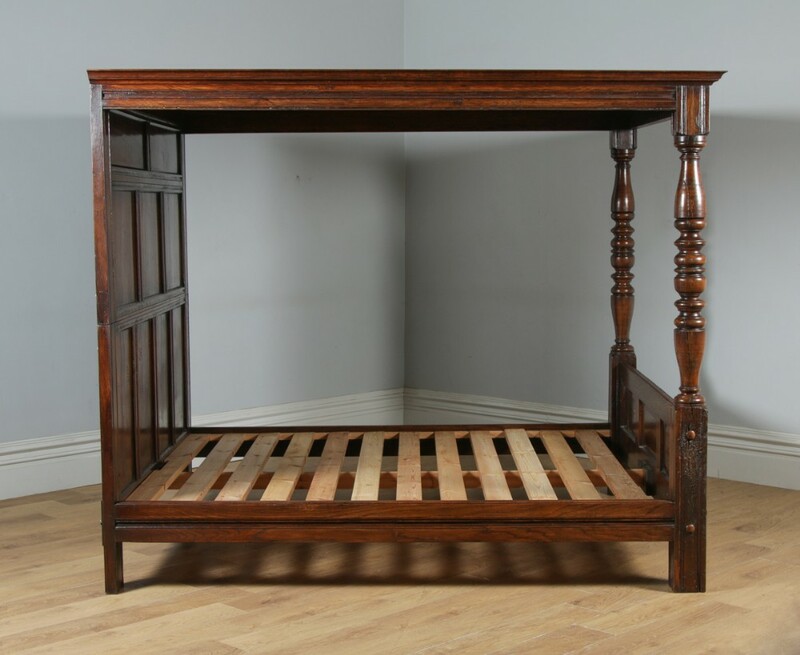 The footboard also features the same inset reeded panel design. 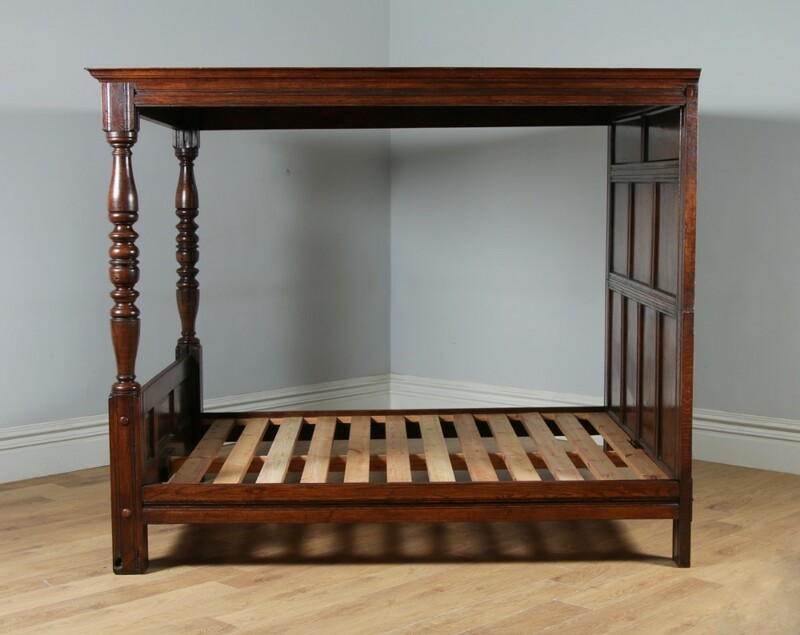 The side rails feature an elegant reeded moulded design. 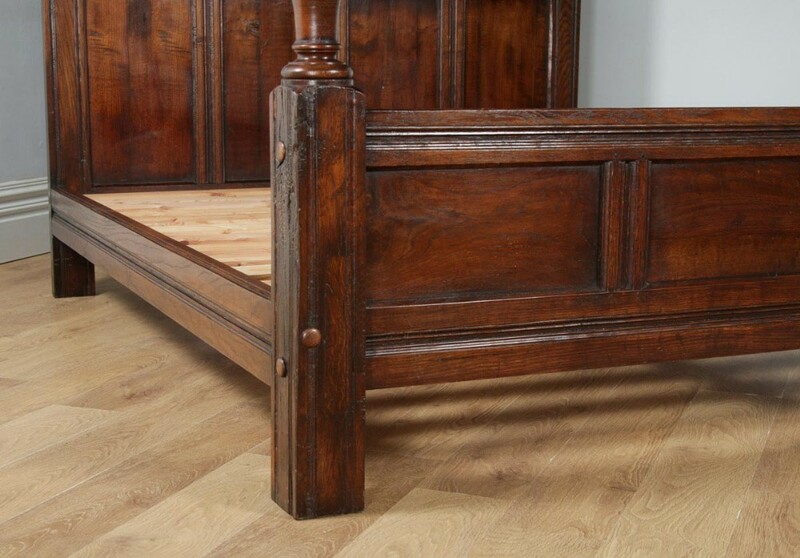 This bed fits a standard UK super king size mattress (6ft” wide x 6ft 6” long) and boasts a stunning rich mid brown oak colour. 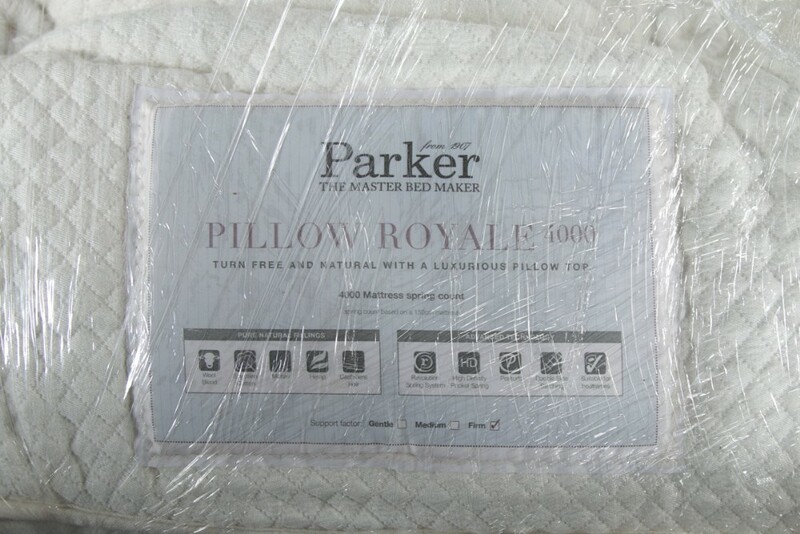 The bed comes with a handmade 4,000 sprung mattress (firm tension), manufactured by Parker, the master bed maker. 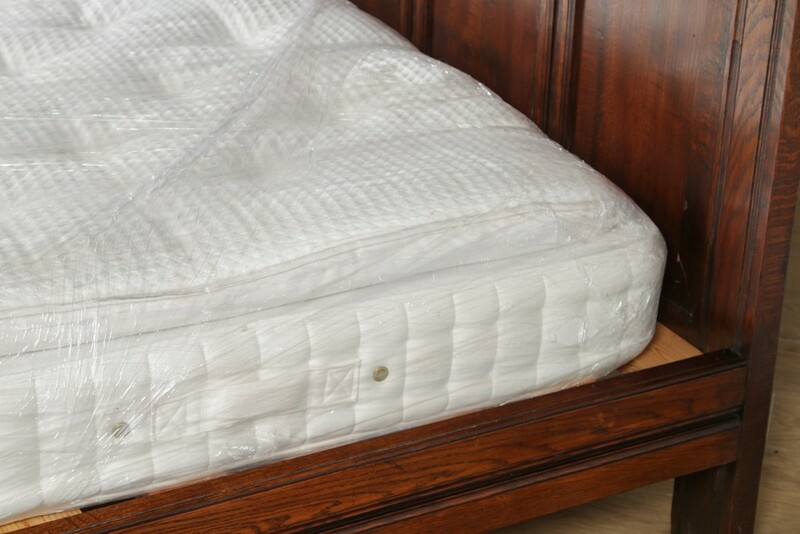 The mattress incorporates a pillow top section above the mattress. The mattress has had very little use, having been used in a spare bedroom by the previous owners. 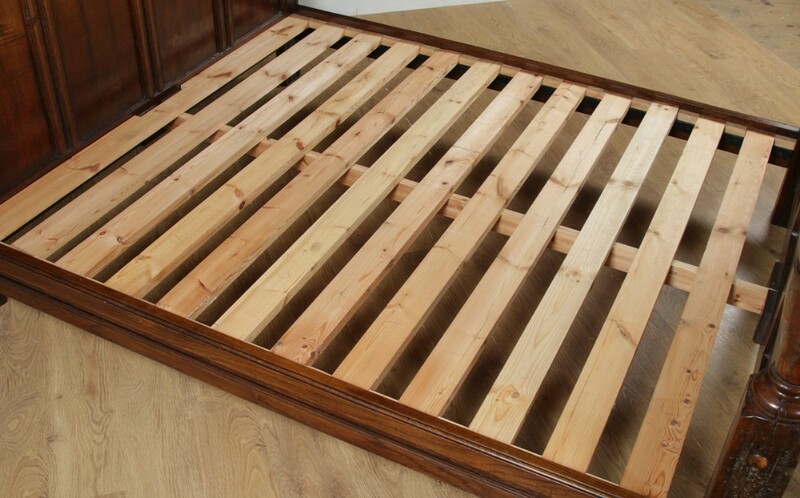 We can supply the mattress with the bed free of charge. 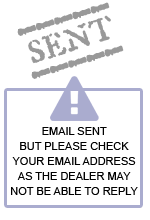 If you do not want the mattress, please let us know. 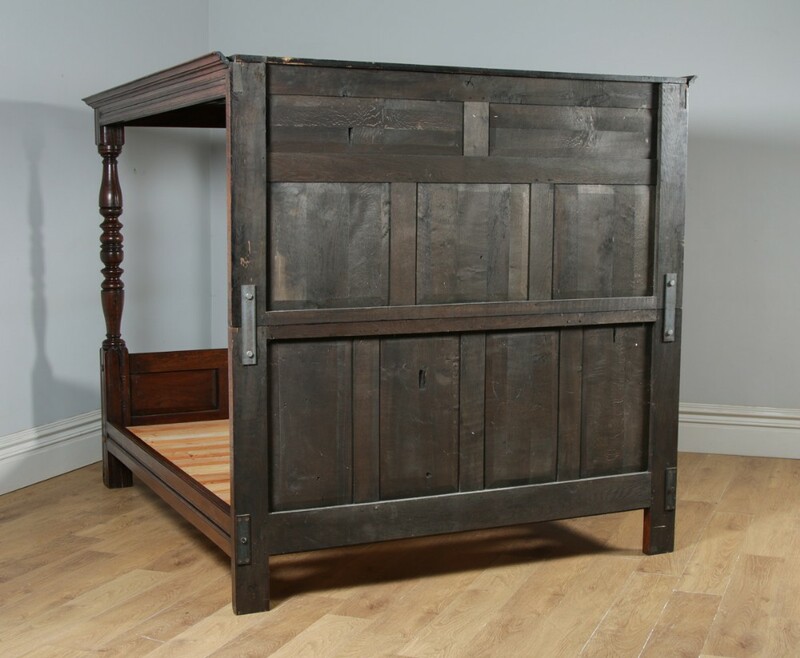 The bed dismantles into sections and panels for ease of transport, access into a house and assembly. 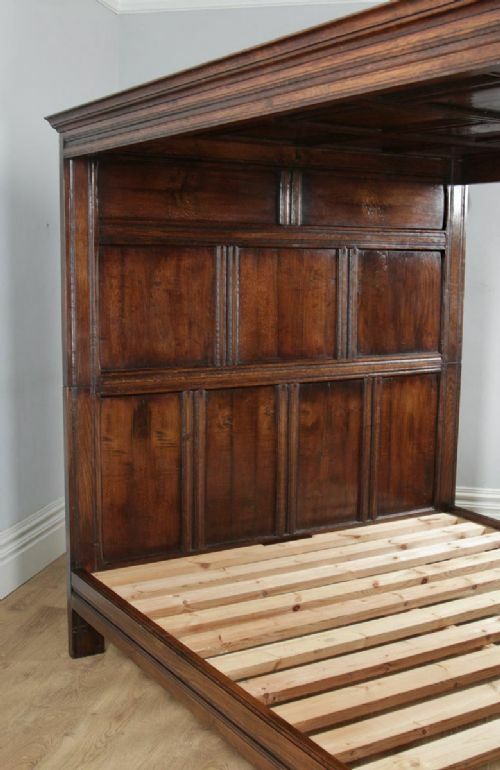 Notably, the headboard and roof can be dismantled into two sections to allow easy access up narrow staircases or through doorways. 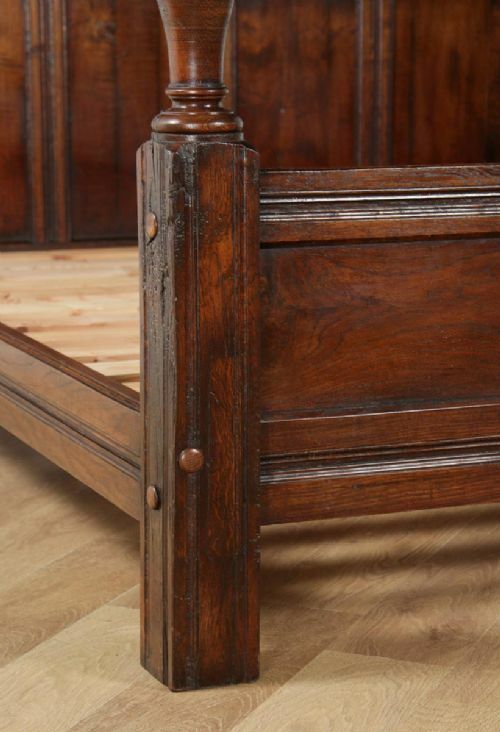 This bed is in excellent original condition. 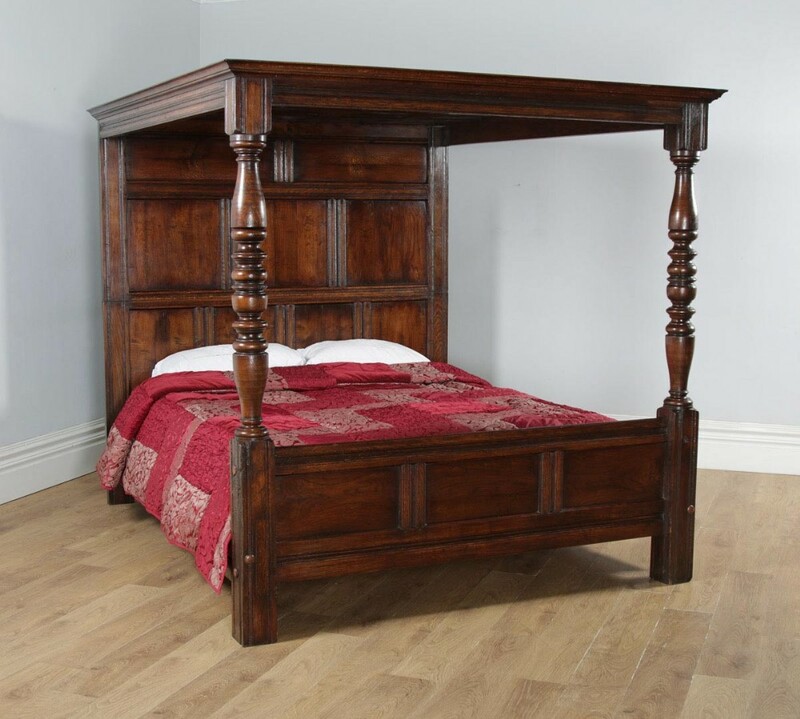 It is an extremely well constructed, heavy, solid and very stable bed. 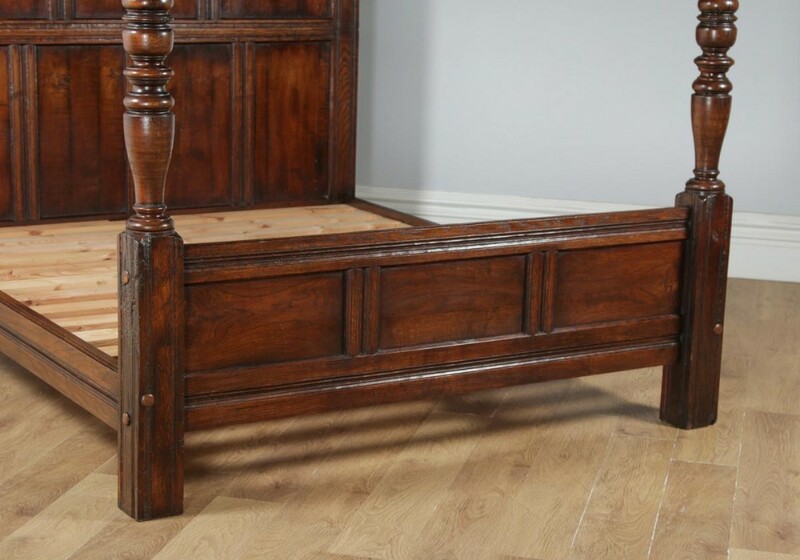 There are no veneers on this bed either; it is made of solid oak. 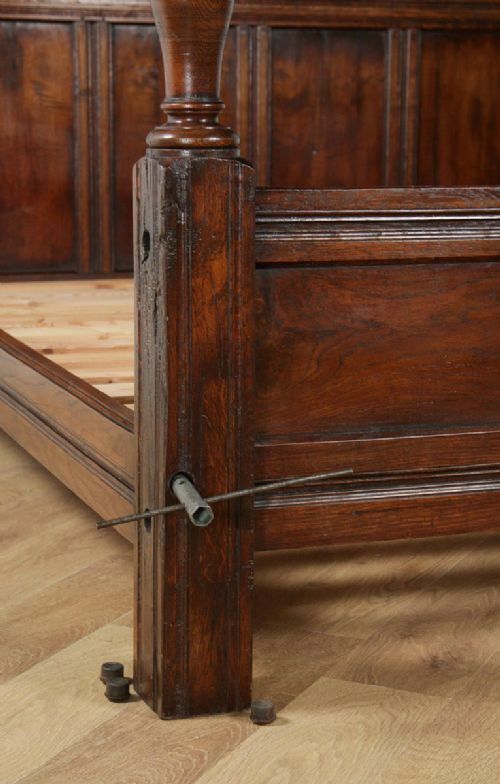 There are no scratches or damage to the bed either. 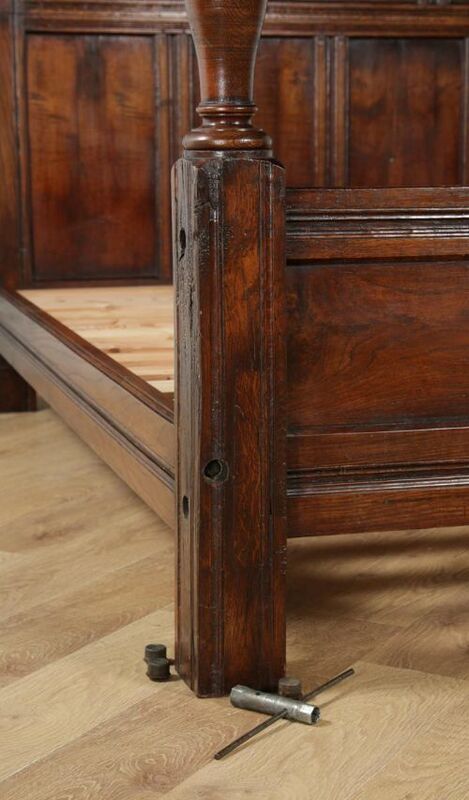 The bed boasts an exquisite panelled headboard and roof, un-paralleled in terms of detail, intricacy and quality. 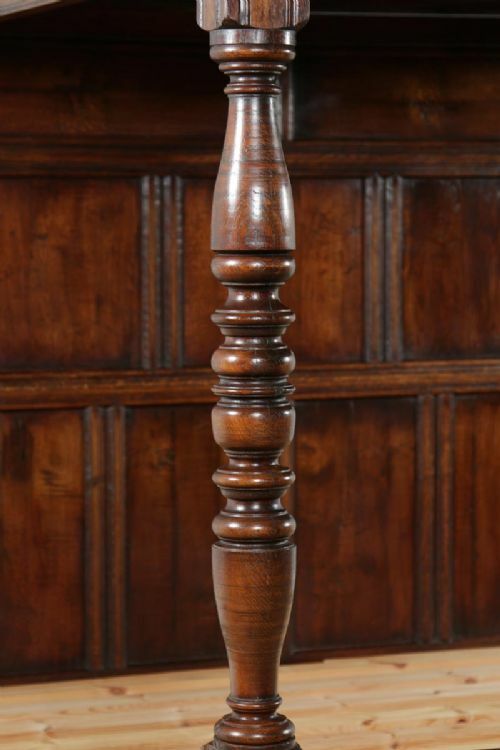 As it boasts the original polish, it has a fantastic colour and patination. 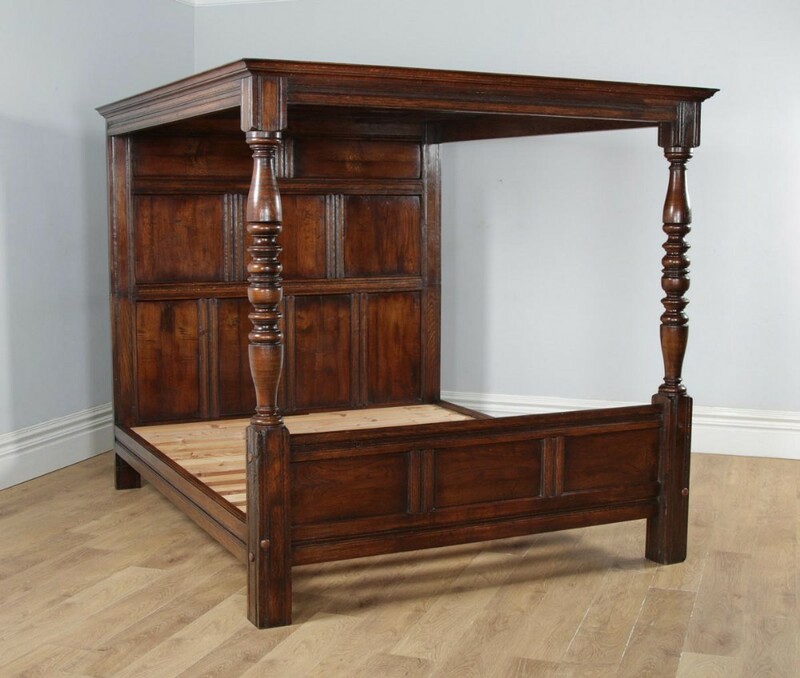 This bed is handmade from early English oak timbers (hence the rich warm colour). 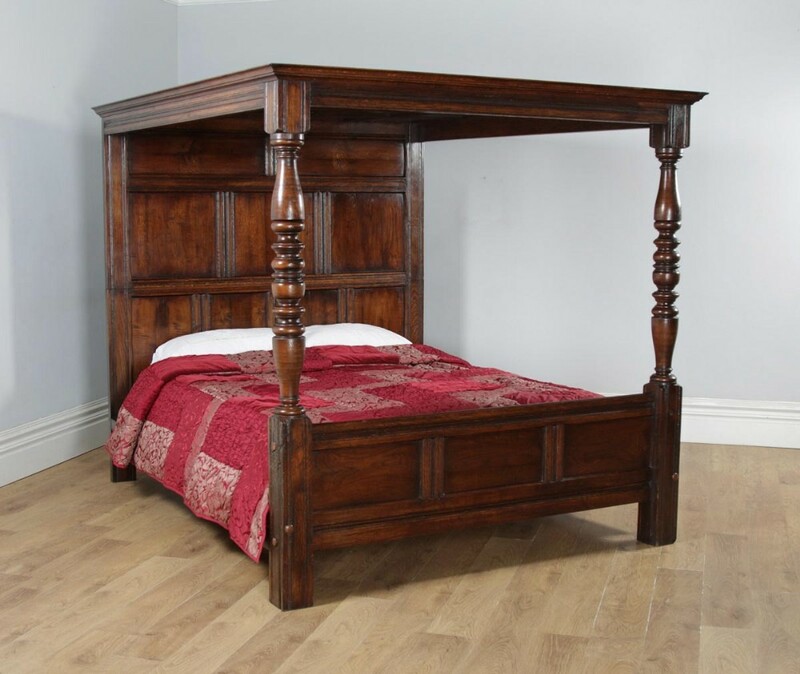 This bed is of superior quality compared to other beds in the market place today. It is solid in joint and ready to use. 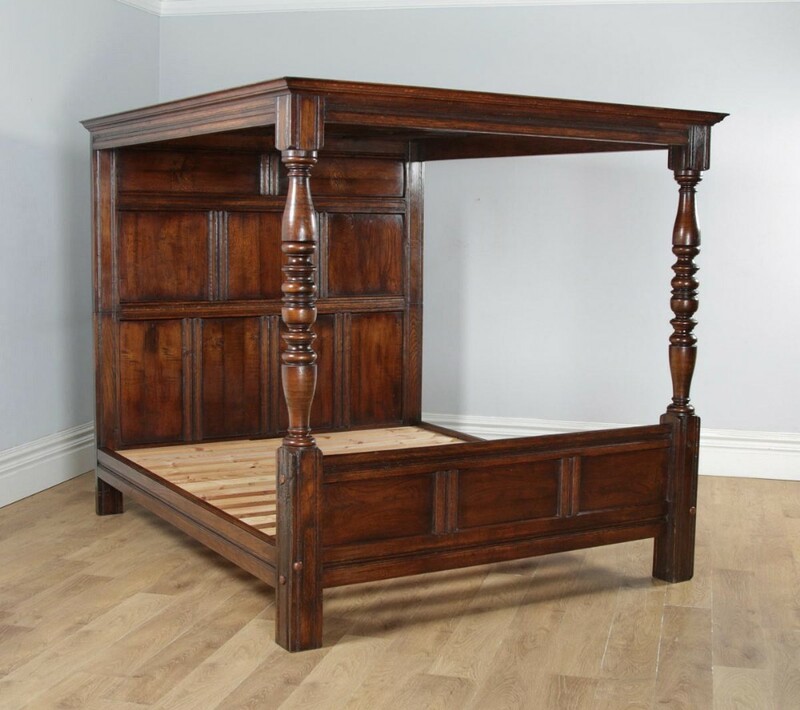 The Antique 6ft English Charles II Style Super King Size Oak Full Tester Four Poster Bed (Circa 1920) has been added to your saved items.